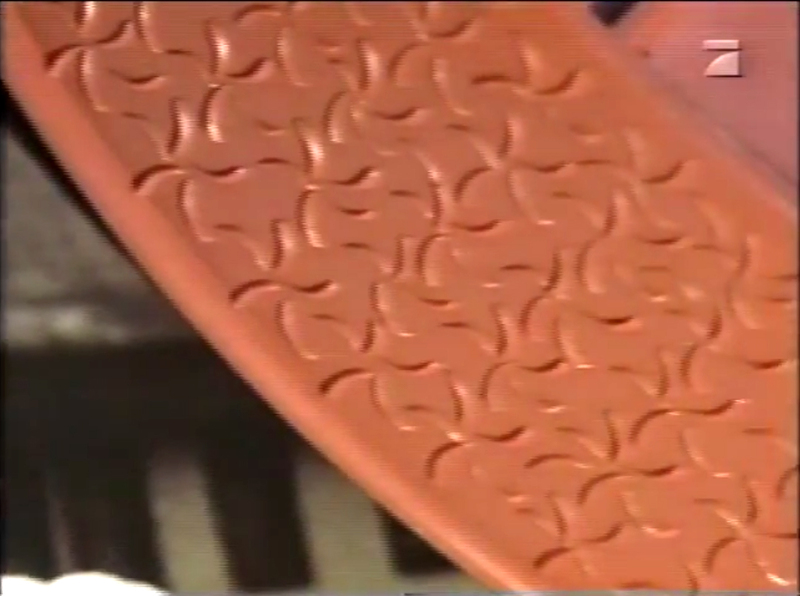 While watching the segment on WCUFO in the video, one may notice an interesting finding. A flower-pot dish was shown close to the camera @ 6:25 min! What about it? By doing a side-by-side comparison of the two images, the item on the top of the WCUFO is shown to have different proportions relative to the flower pot dish. The number of "star-fish" motifs in any single column on the top item of the WCUFO is 5, while the number is 4 for the flower-pot dish. The number of "star-fish" columns between two fixed points on WCUFO is more than the number of columns on a flower-pot dish. The idea that the only way the Plejaren have come up in order to demonstrate reasonable proof of their existence for the vast majority of the earth people is by deliberately discrediting themselves - is beyond ridiculous and seems to be the last resort for the believers to reconcile with the dubious and negative evidence. This contrived theory is even being strongly opposed by none other than Meier himself. The concept of plausible deniability is often mentioned with your contact case as a rationalization for the Plejarans intentionally lying and obfuscating the truth. J.W. Deardorff, author of Celestial Teachings: The Emergence of the True Testament of Jmmanuel, has published a short paper on this topic at www.tjresearch.info/denial.htm. The reason given for the Plejarans lying is that it serves to intentionally weaken your contact case so that it is not completely air-tight or irrefutable, like ET’s landing on the White House lawn. The purported benefit of plausible deniability is to give refuge to the illogical and weak-minded people that are not equipped to accept the validity of your contact case based on its preponderance of evidence. Other reasons given for lying is that it prevents the Plejarans from being looked upon as gods, or you from being considered a spiritual guru, because who would trust a liar. Do you or the Plejarans lie and obfuscate the truth to maintain this alibi of plausible deniability? The Plejaren never lied but always spoke about that which they know/knew or thought to be true. If it turned out that what they had looked upon as true, but later turned out to be different etc., they were correcting themselves. They did not always explain everything they know, but only disclosed parts of information. On other instances they just answered the questions, but since the questions weren’t precise, they were able to withhold information, etc. etc. Retired Professor James Deardorff has proposed a theory which you may already know, its called as "Leaky Embargo Hypothesis". According to his hypothesis, advanced ethical ETs would not reveal their existence as it would create shock to lower civilizations from sudden disclosures. So these ETs like Plejaren would select a contactee on a planet and through him pass on the message to the people who are ready or interested.As a part of this strategy, Deardorff seems to have stated the "negative" aspects of the case like - missing original negatives, films, slides, outerspace photos, Asket-Nera issue, letting MIB, CIA,..etc manipulate or steal the original evidence, absence of & negative evidence of astronomical details(Malona, destroyer comet, origins of venus & moon, dark star in SOL system,..etc), Clear contradiction of values with scientific results, Cave men photos still being in PPKB,..etc - are purposefully introduced or let them to exist by Plejaren in order for people to spot these & give the chance to refuse the reality the case so that they can save them from the shock of ET existence. I would like to know, if such a strategy(not necessarily related to the above details) was being used or has been used by Plejaren with or without your knowledge ? p.s: Everything above may not be attributed to deardorff. The „Leaky Embargo Hypothesis“ is pure nonsense. The Plejaren always informed openly and honestly, of course only within the limits of their directives. And when at some later time they learned that formerly given information turned out as being erroneous (due to a lack of certain knowledge on their side, etc. ), they always corrected their former incomplete or false information. What can be stated with certainty: They never lied. Furthermore, Meier along with the Plejaren have explicitly stated many dozens of times throughout the contact notes that they have provided enough evidence for open-minded persons and scientists to remove all of their doubts and come to the conclusion that Meier must be in contact with ETs. 233. This can only happen by my giving you opportunity to obtain such clear film and photo material that any doubt will be removed – even for the terrestrial scientists. 234. We have to hurry very much with all these things, however, because in America, the first steps have already been taken to analyze these falsified old films more closely, and the possibility exists that the artificial lines manipulated into them will be found, at least in those slides and parts of the film that exhibit these lines more distinctly. 235. For this reason, you will have to take new pictures as soon as possible, which leave nothing more to be desired in clarity of reality. Want to guess what these 'new pictures' were that were supposed to remove 'any doubt..for the terrestrial scientists'? They concern the pictures of Wedding cake UFO! And we all know how that turned out. See this and this link for more information on the deconstruction of Meier's WCUFO. Now lets get back to the three main points put forth by Dyson Devine. The central premise of Dyson and Michael Horn's argument is that since the flower-pot dish is "demonstrated" to have been different in proportions relative to the WCUFO, then the Meier's WCUFO must be ET. Even if we accept their premise as true, I don't see how that is going to prove the ET nature of the object. Why is it impossible for a different sized flower-pot dish with the star-fish design on it to exist, that matches the skeptics proposed measurement for the small scale model hypothesis? I don't see any reason for the flower-pot dishes with starfish designs not to come in different sizes. Perhaps Michael and Dyson can explain their exotic reasoning for us. Now lets discuss the logic behind their three arguments. 1. By doing a side-by-side comparison of the two images, the item on the top of the WCUFO is shown to have different proportions relative to the flower pot dish. Refer to Michael Horn's article on how Dyson approached the comparison test. The obvious question is how could he judge the potential differences of objects proportions in two images that are photographed from different distances (to the subject), camera settings, type of camera lens and perspectives. It is basic knowledge that all these factors would distort the shape of the object, which essentially makes any efforts for a legitimate comparison worthless. "..yes of course, the distortions caused by magnifying lenses are a factor due to the fact that all lenses have some amount of what is called "barrel distortion" and that in order for an object to appear the same size on an image, the camera must be placed at different distances depending on the focal length. 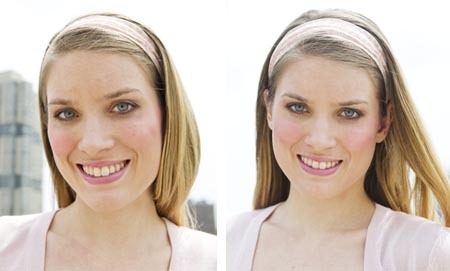 Therefore if you took a picture of the same object using a short and then a long focal length lens and adjusted the subject to lens distance so the object occupies the same space on the picture, the proportions of the object will change substantially. 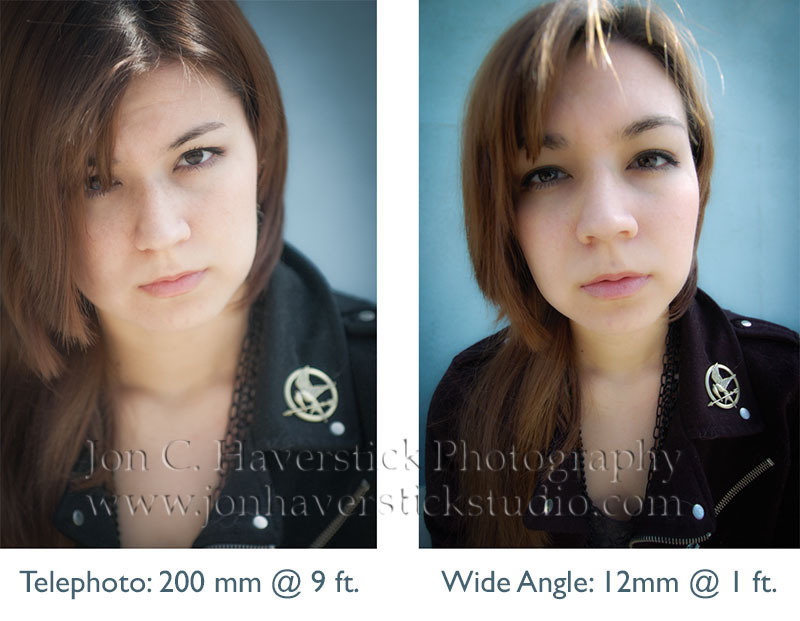 A good demonstration of this is that longer focal length lenses are often referred to as "portrait" lenses because they tend to not cause disproportion effects on the face, whereas using a wide angle lens for portraits results in serious distortion where for example the nose will look substantially bigger than it is. 2. The number of "star-fish" motifs in any single column on the top item of the WCUFO is 5, while the number is 4 for the flower-pot dish. 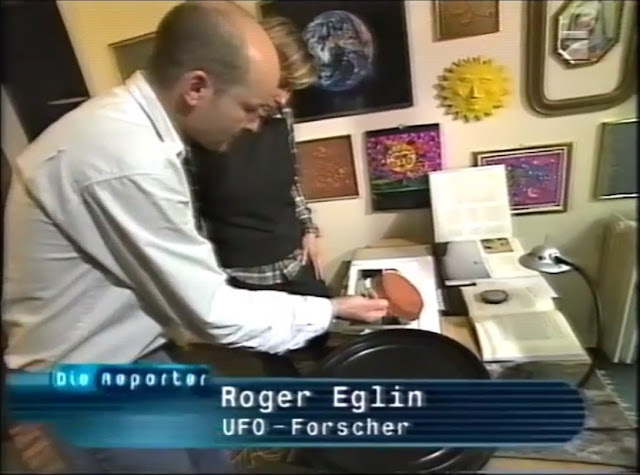 The below image is a screenshot (at 6:25 min) from the 1999 TV segment, where the German UFO researcher Roger Eglin shows a flower-pot dish (that is different to the one on Michael Horn's website, likely taken form now-defunct Turkish website as mentioned here) along with 3 other different household objects that resembles the parts in Meier's WCUFO. One can see that there are 5 starfish in each column, just like the top part in Meier's WCUFO shown above. 3. The number of "star-fish" columns between two fixed points on WCUFO is more than the number of columns on a flower-pot dish. While it is true that the number of starfish columns between any two fixed points (I calculated between the two indentations on the rim) is different between the flower-pot dish and WCUFO, it is most certainly possible that there do exist a flower-pot dish that have the same 5-row starfish design and also match the number of starfish columns between any two fixed points.